Mawlana Bhashani Science and Technology University is the top and first of its kind among all the public universities in Bangladesh. 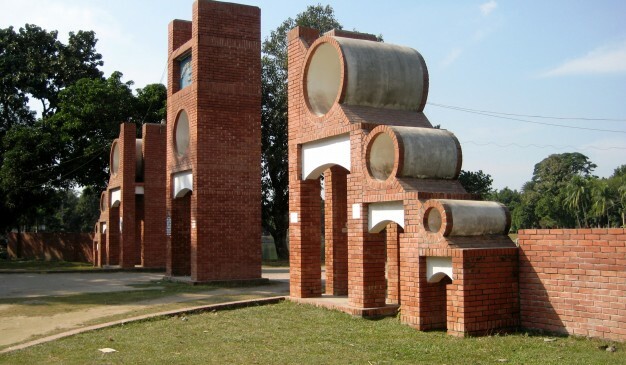 This university has named after the legendary leader of Bangladesh Mawlana Bhashani. This university’s motto is to make Digital Bangladesh. And, to know more details about this university read the article below. Here, we have discussed the information about its departments, admission process, and facilities. Mawlana Bhashani Science and Technology University is a high ranked public science and technology university in Bangladesh. The nickname of this university is MBSTU. This university is situated in Santosh, Tangail, Bangladesh. It was established on 12 October 1999. It is a government financed public university. This university’s medium is English. And, this university is a political activity free university. The Chancellor of this university is President Abdul Hamid. And, the present Vice-Chancellor of this university is Professor Dr. M. Alauddin. Now, this university has a big campus approximately 57 acres. And, the number of the total students is 4500. Among them 4000 students are undergraduates and 500 students are postgraduates. The total male students are 2251 and 884 are female students. The total number of teachers in MBSTU is 80. Now, you can visit this university’s official website for other news just visit on this link www.mbstu.ac.bd. Mawlana Bhashani Science and Technology University has 4 faculties. And, under those faculties, it has 14 departments. This university provides education in engineering, life science, pure science, and business studies. Now, the name of those faculties and departments are given below. Environmental Science and Resource Management. Food Technology and Nutritional Science. In every year, 700 students get the opportunity to admit in Mawlana Bhashani Science and Technology University. But, the students must participate in the admission test. Before that, they have to apply in the MBSTU. There are some requirements for Appling here. They must have minimum grade points in SSC and HSC that university provides on their admission circular for every faculty. And, the important thing is, the students must get the required grade in Physics, Chemistry, Mathematics, and English. Now, the people who want to do M.S. and PGD course here, they must attend in the admission test or interview. Mawlana Bhashani Science and Technology University has many facilities for the students and teachers. This university has separate hostels for students. And, those hostels have 183 male seats and 155 female seats. Now, it has the transportation facility for the students and teachers. The university has several buses. This university also has a very big library. The library building is so big and it contains lots of books, journals, and magazines for the students. And, it is proposed that this library will have an electronic library very soon. In this university, the students get health care because 5 doctors work here in different shifts. In short, this university is a well-structured and top-ranked university. And, visit our website to get the updates about Mawlana Bhashani Science and Technology University.